“The most important election we’ve seen for generations” and the Louth and Horncastle constituency will play a big part in the outcome . That was the message from Chairman of the Conservative Party Grant Shapps when he stopped off at our office with candidate Victoria Atkins this week. He said the difference between the two main parties was now very great and a vote for any other party than the Conservatives was a vote for Ed Miliband, discounting UKIP, the Lib Dems and The Greens. Mr Shapps also discounted the notion of a hung parliament . He also paid tribute to outgoing MP Sir Peter Tapsell but said he thought the future for the constituency was bright. He said: “This is a constituency that has been represented by one great man since before I was born, it’s been a long, long time since there’s been a new vibrant candidate , and that’s meant with no disrespect to Sir Peter Tapsell who has been absolutely brilliant, but we do have a new candidate, Vicki’s going to be an absolutely fantastic MP if she gets elected, which I hope she will. “We all want to see her elected and that’s why we’re here to say to people, we don’t take your support for granted..
Mr Shapps suggested he thought Mrs Atkins would make a modern and dedicated MP saying: “Every MP is different and every MP does the job differently. “Nowadays MPs look after everything, from potholes, to pavements to housing issues to writing back to people about international defence issues, there is now nothing an MP won’t end up turning their hand to because that’s what’s expected these days. Mr Shapps also highlighted that unemployment in the constituency had dropped in the last four years. 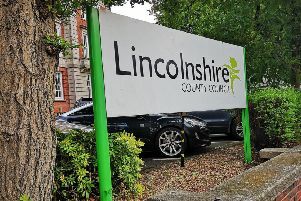 Standing against Victoria Atkins in the Louth and Horncastle constituency are Matthew Brown (Labour) Lisa Gabriel (Liberal Democrats) Colin Mair (UKIP) Romy Rayner (Green Party) and Peter Hill (Monster Raving Loony Party).